I kept this recipe pure & simple. It is 100% pure organic coconut oil with lavender, coconut milk and a bit of ground lavender flowers swirled within it. If you are like me and love a cleansing bar with rich, creamy, lotion-like lather, then this one was made just for YOU! Use it as a Poo Bar (Shampoo Bar) or a body cleansing bar. 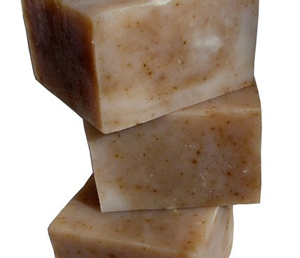 Our Organic Coconut Lavender Milk Bar is scented with the fresh aroma of Lavender. Each bar is of generous size, weighs approximately 6-7.5 ozs.